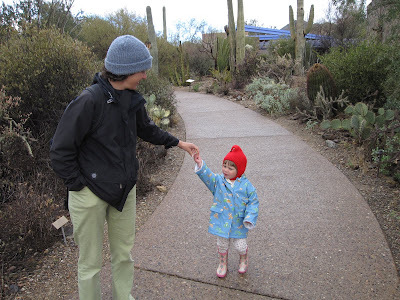 Located within Pima County's Tucson Mountain Park and adjacent to Saguaro National Park is the world renowned Arizona-Sonoran Desert Museum. 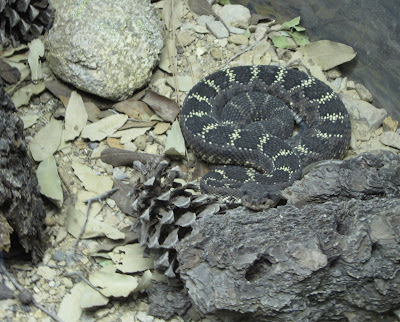 Not really a "museum", sort of like a zoo, it specializes in the ecosystems, plants, and animals of the Sonoran Desert, southwestern desert ecosystems, Madrean Sky Islands, and ecosystems of northern Mexico. 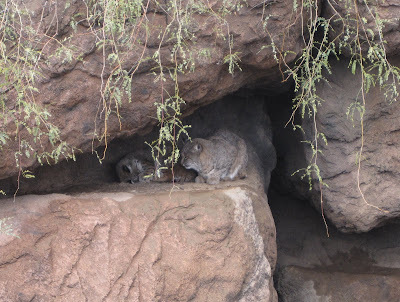 It is a fascinating complex with wonderful trails through a variety of desert vegetation, looks at creatures you rarely see (such as those creepy-crawlies that come out at night or fish in the streams) or are extremely rare and endangered such as the Mexican wolf or thick-billed parrot. 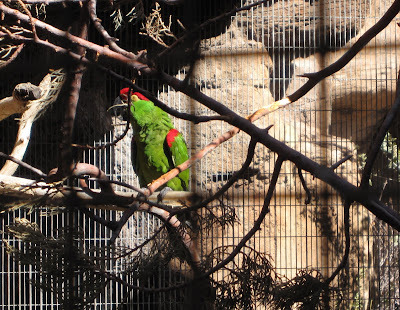 It contains an aviary, hummingbird complex, invertebrate house, aquarium with fish and frogs, and complexes for every ecosystem from desert to grassland to mountain forest. 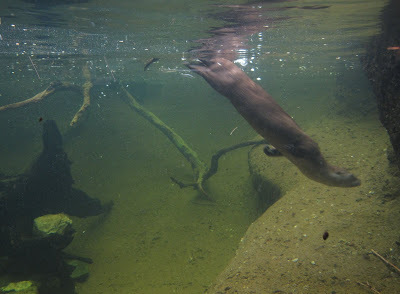 It is one of the best organized and informative museums/zoos I have come across. And, as someone who is particularly interested in the ecology of the deserts and mountain sky islands, this provided me glimpses into organisms and features I was not all that familiar with, such as the tropical deciduous forests of northern Mexico where the Sonoran desert transitions into a more tropical climate. It made me want to return again, because it is very difficult to absorb it all, especially with a two year old. We spent 5 hours there, but still it felt rushed, especially as we ran Hilina from one favorite animal to another. 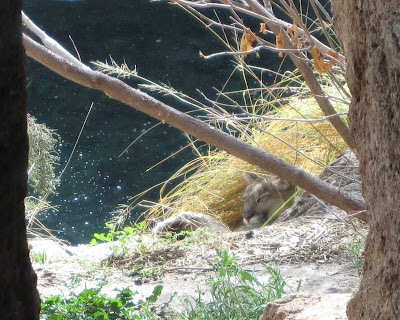 Whether it was the snakes and scorpions, the otters and coyotes, javalinas and bobcats, Hilina was loving every minute of it! 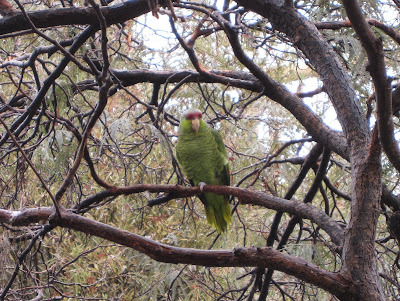 The thick-billed parrot was once roamed the pine forests of the southern Arizona mountains feeding on pine nuts. 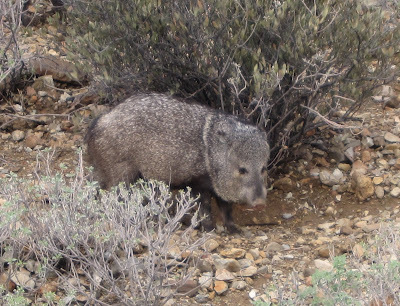 It was extirpated around 1936 in the Chiricahua mountains and is critically endangered in Mexico. 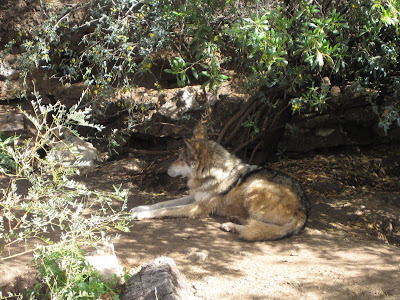 The Mexican Wolf was extirpated from the United States in the 1930's and very nearly went extinct everywhere. 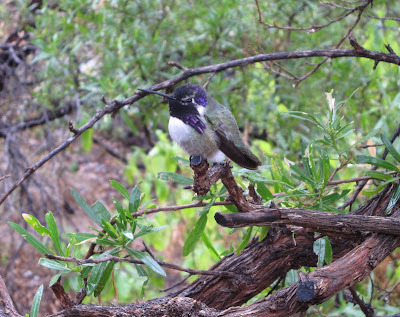 They reintroduced a few to the Gila Wilderness on the Arizona/New Mexico border. They had reintroduced a few more elsewhere, but ranchers have hunted and killed most of them. Why humans have such a hatred for these beautiful animals, I just don't know. 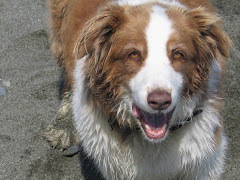 Get a sheep dog to protect your flock like Italians do. 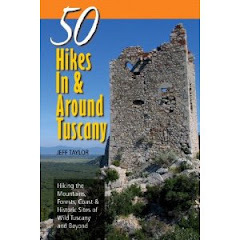 Somehow wolves have survived in the mountains of Italy for thousands of years with the sheep. 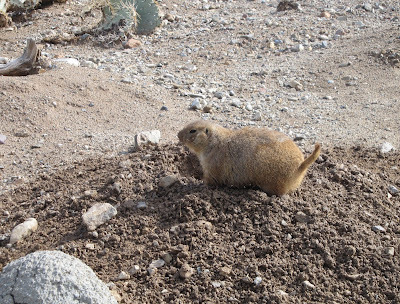 The black-tailed prairie dog is another species that was extirpated from Arizona by the ranchers who didn't like their holes. The almighty cow and sheep rules!